As of last Thursday, no one at the Times knew about Good Burger. As of today, at least one person at the Times has been forced to learn about Good Burger. This correction, issued on an article about nothing, is now more important than the article to which it is appended. Alex from Target was a flash in the pan of the nightmare we live together daily; Kel from Good Burger lives in time immemorial and is realer to me than the hands with which I type. The New York Times has issued not a correction but a victory for idiots all over the world. An article on Thursday about the latest Internet sensation of "Alex from Target," a picture of a teenager bagging merchandise at the retailer that went viral online, described incorrectly a subsequent Internet posting of "Kel from Good Burger." It was a frame from the 1997 film "Good Burger" starring the actor Kel Mitchell; it was not a photograph of a teenager in a job. Hold on for a second, I have a correction. 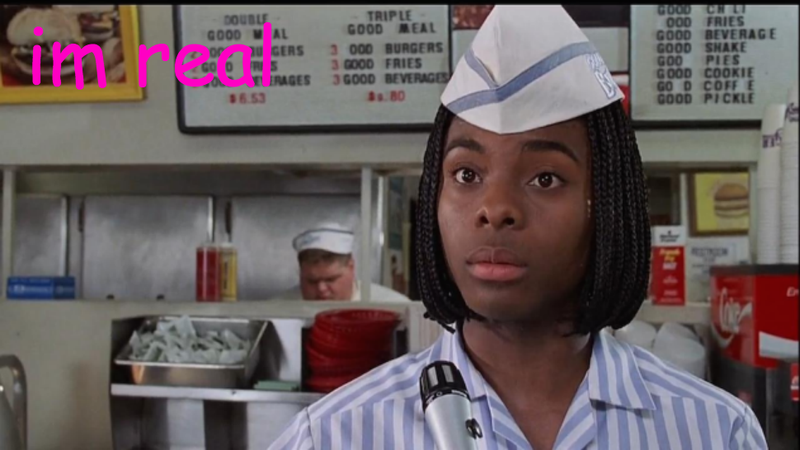 As Kel Mitchell was born in 1978 and Good Burger was filmed in 1996, any picture of "Kel from Good Burger" would have been taken when Kel was 18, or "teen-age." Thus the "subsequent internet posting" was indeed "a frame from the 1997 film 'Good Burger' starring the actor Kel Mitchell" AND ALSO "a photograph of a teenager in a job." I await the correction to the correction. I'll just be here, "in" my job, waiting. Ball's in your court, so-called "New York Times."